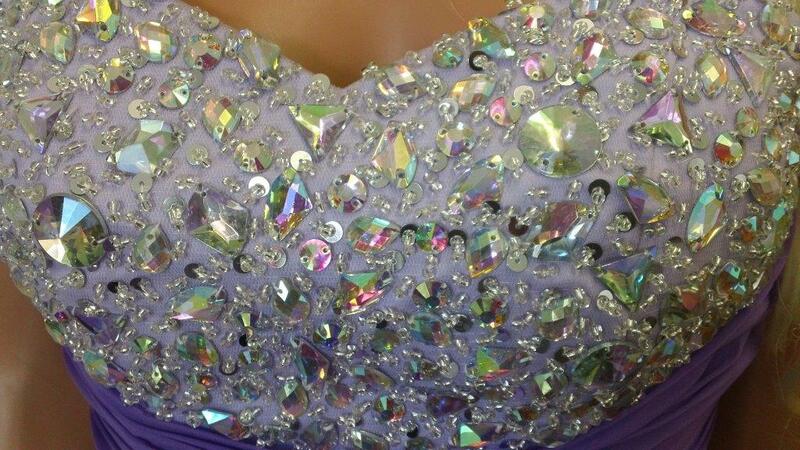 Short purple prom dresses. Short studded sweetheart prom dress and layered chiffon skirt. Available in 60 colors including shades of purple: periwinkle, wisteria, lavender, lilac, purple rain, violet, plum/light raspberry and raspberry. 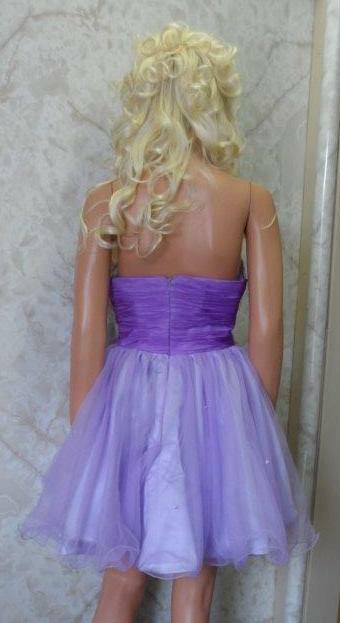 Show off your fun and playful side at your homecoming or prom in this super cute strapped party dress. 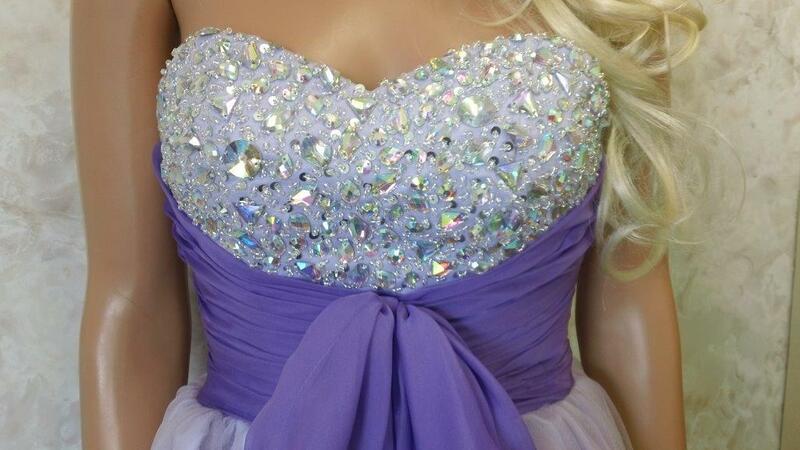 Pretty in purple is this short dress is encrusted in crystals and has a ribbing waistband tied in a bow at the center. The sweetheart neckline and short chiffon skirt are charming but sparkling beaded accents and a short soft hemline give this fun dress a festive style that says you're ready to party. 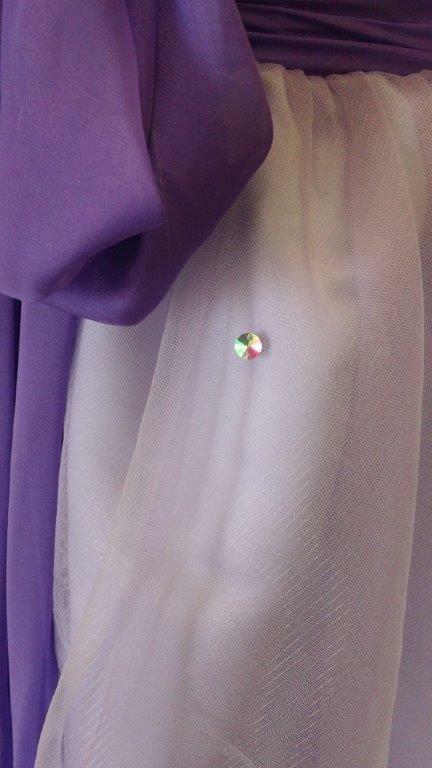 Purple chiffon prom dress with silver and diamante jewel, sequin and bead encrusted sweetheart bust and lace back detail. This Forever Unique dress is fully lined, with wired hem, net underskirt, bust.